But… at my heart… I’m SUPER passionate about issues, and I’ve had to perpetually slap my hand to make myself not stand on my much-loved soap boxes lately. I’m doing a quick step up today. Think of it as my one-day indulgence in chocolate (soapbox), then back on my diet (semi-politically neutral persona in public) tomorrow. Disagreeing with someone does not equal hate. I have a lot of things I “disagree” with people on. I dissagree with my hubby Every. Single. Day. And I definitely still love him! And as a moral stance, I have a lot of standards that I hold myself to, and hold my kids to, that other’s don’t agree with. Doesn’t mean I hate those who do those things. And I hope it doesn’t make other people hate ME because they don’t agree with my stances. I’ve long thought we’ve used the word “hate” way too much as of late. Now, there ARE people that hate. And that, I agree, is wrong in a moral sense. And when combined with criminal action, it’s wrong in a legal sense, obviously. But let’s be careful with overuse of the word Hate. NO ONE likes words put into their mouth. The COOL thing about America. We have the RIGHT to express our opinion. Heck, we have the RIGHT to hate someone… as long as we don’t commit a crime in the process. A lot of people hate ME because I’m a Christian. I’m totally cool with that. They have a RIGHT to their opinion. We also have the RIGHT to boycott a business that we are “mad” at because of the owner’s views and support of something we disagree with. On the flip side, we have the RIGHT to NOT boycott a business that we support. Obviously I’m talking about the whole Chic-Fil-A thing. If you’ve been living under a rock… (aka not on Facebook, HA!) I’ll do a brief summary. CEO of Chick-Fil-a noted that he doesn’t support gay marriage. He also contributes to an organization that is expressly against it as well. There is also those who are up in arms about people being mad at Chick-Fil-A. Basically saying the same thing I said above, that just because he doesn’t agree with a certain issue doesn’t make him a hater. A bunch of them (via a facebook event set up from Mike Huckabee) are having a movement to all eat Chick-Fil-A today (August 1st) as a show of support for the company and its leader’s rights to their own opinion. I totally support the right of those who have decided to boycott Chick-Fil-A. GO FOR IT. It’s your right. It’s your opinion. Good for you for doing what you think is the right thing in a non-violent way. I also totally support those who are going to eat at Chick-Fil-A today. GO FOR IT. EAT MOR CHIKEN! You totally have a right to support whatever business you want with your patronage. As an American, my only beef (pun intended) with the actions I’ve seen is the whole government threaten thing by a few big city mayors. without threat of the government’s reprimand. Denying business license, or even threatening to do so, to me, is a NOT OK reprimand. I get that point. And I actually agree with it at its core. The thing is: The “issue” everyone disagrees on isn’t really “they are denying marriage licenses” but instead, the difference in opinion comes on the definition of what that marriage is. Currently, the definition “on the books” in many states and on a federal level denotes marriage as between a man and a woman. There are also other parts of the definition that has to do with age, and that you can only be married to one person and not multiple people, as well as “relative” status, i.e. how far unrelated you have to be in order to get married. I’m not a government expert. I have no clue “where” these definitions are held. But they exist. Chick-Fil-A has already been established as a business. It sells fast-food chicken, just like a whole bunch of other establishments. Whether or not it is legally defined as a “business” is not in question. The above is about being an American. But what is my/our responsibility as believers in Jesus? There are a lot of different viewpoints on that. And it’s not my job to judge those, Christian or not, who disagree with me. Doesn’t mean I can’t share my viewpoint and how I’m choosing to live my life. Doesn’t mean I have to “accept” all viewpoints as a version of truth, what we are calling tolerance as of late. It does mean that regardless, I need to show Jesus love. And to those who don’t like me because of my opinions… well, that super super would break my heart. But I’ll hold no ill-will toward them in return. There is a whole lot of name calling going on right now… on both sides. While I recognize the right people have to express themselves, my plead to those who know Jesus is this: BE NICE. You can have your opinion, and express it, without being rude and overbearing and name-calling. Amen, Krista. I'm a bit weary of the firestorm this has kicked up. Some complain about a lack of tolerance, but yet when others express an opinion, the former are not tolerant either. 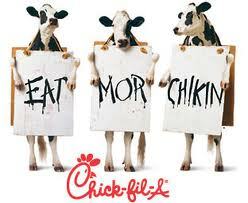 Won't make it to Chick Fil A today but I support them and their right to have their convictions. Thanks for stepping up on the soapbox today! well said. Thank you so much for sharing. So very well said!!! AMEN! I agree with everything you said. It is just how I feel. And I agree with Karen that "they" preach tolerance, but often don't practice it themselves. I just hate it that Christianity and Christian beliefs are being marginalized in our society these days when they used to be the foundation of our society. Even Christians are being affected by this shift in what makes up the basic moral fabric of our society. So sad…. Amen, amen, amen. You said every word on my heart. Thank you, Krista! I've been in the forums with the same exact points of view. My conclusion, "haters gotta hate." It really does stink though. This topic is one of a couple I hold near and dear enough to get on a "soapbox" about! Thanks for taking a risk of standing on your soapbox on this issue. Judging by the crowds I saw at one of my local Chick-fil-a's and the pictures and stories I read from others across the country, you are not alone! I agree with what you said and appreciate your bravery in sharing your passion on this topic. Yeah, that's why I avoided the actual "should they or shouldn't they" question. I have my viewpoint. I tell those individually if I'm asked, and stand by it because it's mine to have. Hey Krista. I read your blog all the time. But I've never posted any comments. It's been a while ago, but I think it was you ( but it could have been Matt Hammitt ). I keep up with both of your blog's. But one of you mentioned a heart baby David. His parents are Jennifer and Justin. I read their blog but have lost the link to it in my bookmarks. Wondering if you remember or have the link to this blog. I can't find it. Sorry if it wasn't you that mentioned him. I would love to catch back up on him. Thanks for your help. Tracy, that was me! Although Matt may have posted something at one point too, I don't remember! That is David Hood and we're still doing a TON of praying for that little guy! His caringbridge is http://www.caringbridge.org/visit/babyhood/?ref=nl and his momma's blog is http://fumblinggraciously.blogspot.com/. You'll find up-to-date info on his condition on his caringbridge, but his momma shares some wonderful thoughts about the more personal/spiritual side on her blog.